Our commitment to providing a great product starts in the field and ends with delivering it when we say it will. We joke about it, but it's true: We eat, drink and sleep alfalfa! 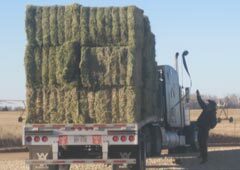 We ship premium alfalfa hay and wheat straw 12 months a year, and we feel our service is unbeatable! We are proud to say that we have never run out yet. 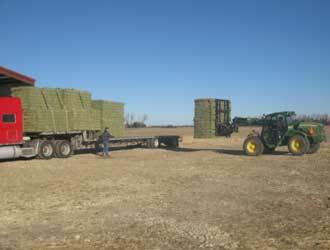 In our low humidty conditions, we have the opportunity to dry hay rapidily. 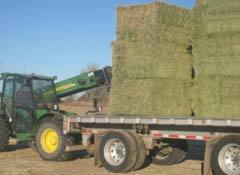 Most of our hay is baled at night, and we strive for soft hay with good leaf retention. 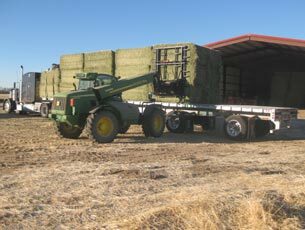 We have a lot of equipment, which allows us to get the hay into a bale and shed it in the short window Mother Nature gives us. 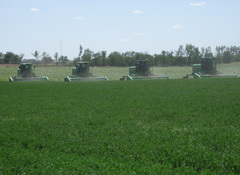 We don't grow row crops because we totally concentrate on alfalfa. We have found to do it right, there is no time for anything else. Our customers can tell that we pour everything into it. We want you to try us! 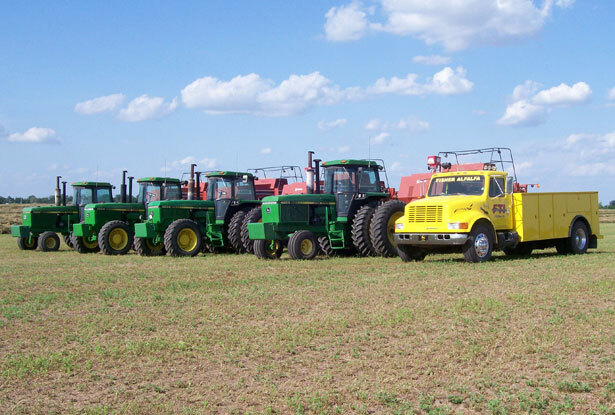 Contact us today to see how we can help your operation!